The MirCR45_MCNET Ethernet Contact Closure are a set of two boards, a sender board and a receiver board. The Contact closure input on the sender board triggers the relay on the receiver board over a local area network or across the Internet. Contact closure input such as buttons, relays, switches or other electronic devices (no voltage) attached to inputs on the sender boards will control the relay on the receiver board. The boards can communicate between offices, buildings or cities! The devices have been paired by NCD prior to shipment and require no configuration; however, if you wish to make changes in this pairing, you may use the NCD Base Station software to change the configuration settings. This can also be a valuable troubleshooting tool because of its ability to show devices that are communicating on your network. Select both devices in list and click the ’Pair with Factory Setting’ button to use the NCD mirror server. The connection symbol should show in front of the items once they are paired. Select both devices in list and click the ’Pair’ button to pair two devices. The connection symbol should show in front of the items once they are paired. Note: The server setting will not change. Input the server address and port number. The default port is 8005. Both modules need to be edited. Input 0.0.0.0 if there is no server. For example, if only one server is used, input 0.0.0.0 for the rest of the servers. The remote mac address can be setup in the next steps. The pair setup with servers can work through the Internet. It is not necessary to be in same local network. Set the Remote Mac Address same as Local Mac Address. This can be used to test the device connection with the server. When the remote address is the same as the local address, it will loop back when an input is triggered, triggering a relay on the same board. - In beacon mode, the module will always use DHCP no matter if static IP is set or not. So it can be listed on network. 2) Run NCD Base Station, Click "More" in the upper right hand corner and then click "MXNET/MCNET Device Pairing Utility". 3) Wait for device show up in list then select the device and Click "Static IP". 4) Select "Static IP" and input Static IP, network mask and Gateway. Please consultant with network administrator for correct value. Make sure all values are correct. IT WON'T WORK with incorrect settings. 5) Power off the device and put jumper to "Smart", Power on the device. If the device setting are correct and in same network as computer running NCD Base Station, it will show in the list with the new static IP Address. To switch it back to DHCP, follow the step above and select DHCP in step 4. and put jumper in Beacon mode. A Static IP Address cannot be Assigned to the Sender Board. If you require a static IP adress to be assigned to these boards you will need to purchase the MirX pair. The boards do not require a static IP addrress and will run in DHCP. The MirCR45_MCNET are sold in pairs, you will receive both boards shown here when you purchase this set. These boards will give you the opportunity to control a relay over your network or through the internet. Each board will plug into a router where it's assigned an IP address through DHCP or a static IP addresses can be assigned. Once on the network the boards will find each other and begin communicating. If the boards are located outside the network they will also be able to communicate over the internet. 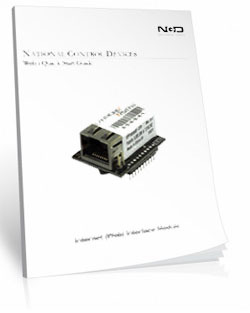 MirC boards with an Ethernet connection should be used in applications where wireless or a wired installation is not an option. Location is not an issue, these boards will "find" each other on the network and even if the boards are located on different networks! Who’s Qualified to Use the MirC Series? Anyone. 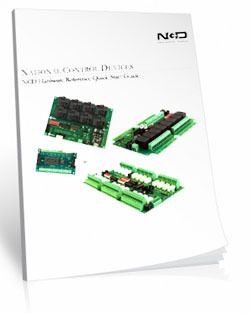 The MirC Series Controllers are the most consumer-friendly devices on our site. Whether an electronics engineer or a home hobbyist, anyone is qualified to use the MirC Series controller. Each board is equipped with a Lantronix Pro module. 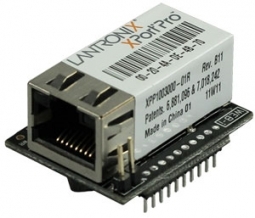 The Lantronix module will connect to your router with a standard CAT-5 cable. The router will assign the module an IP address, the module will then check with the mirror server for the IP address of it's paired board. 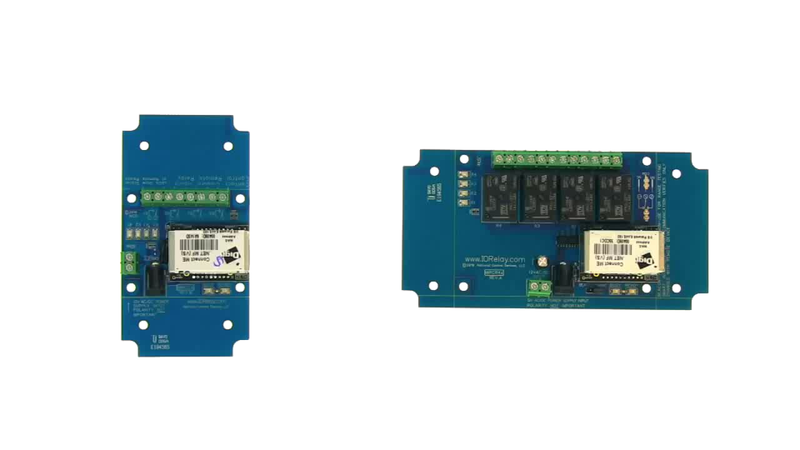 Once the modules know the IP address of each other they will connect directly with each other. LAN applications will not require an internet connection and the modules will find their mate on their own. The module is powered from the board and each board will require 12 volts of power and can be hard wired or you can purchase a "wall wart" type transformer at checkout. The MirCR45_MCNET will work on a local area network. When two modules are in the same local area network, they can communicate to each other directly without an Internet connection. They have the ability to find each other on the network without any configuration. A static IP address may be assigned but is not necessary. If the router assigns a new static IP address the boards will simply look for each other on the network (using their MAC addresses) and begin communicating again. 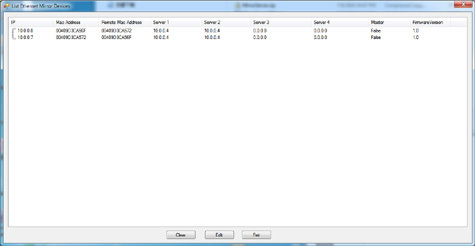 Using the MirCR45_MCNET over the internet, a 3rd party server is required. Two Lenux servers are used as a central hub and backup for MCNET communications and keeps each controller in communications with the other. You do not have to use these servers; you can install software on your own server and use it instead or in combination with the Lenux server. In fact, you can install our software on up to 4 servers. If one server is down, another server will be used as a backup path for communications. Your MirC-MCNET controller works right out of the box with our server, but you can add more servers if you want to increase the reliability. The external server is not required when using the boards over a local area network (LAN). LAN connected MCNET boards will find each other directly (each location must be connected to an Ethernet router or switch). When using these boards over the internet and outside the Local Area Network, Port Forwarding on each router will be required. Port Forwarding is a protocol used by your router to allow incoming requests for connections to get through to a specific device on a specific port. Below is an example of how it works. In this example a router has been setup to forward incoming requests for port 2101 to the device at the IP Address 192.168.2.19 on port 2101. Now when any device that tries to access this Port on the External IP Address the router will see the request and automatically forward the request to the device at the IP Address of 192.168.2.19 on port 2101. If this Port Forwarding rule was not in place and a request came in on port 2101 the router would not know which port or device to forward it to and the request for connection would be denied. Note: Port Forwarding will not be necessary when using this within a Local Area Network. For more on Port Forwarding with detailed instructions for every router visit: https://portforward.com/ . A common question we receive is what happens to the relay that is energized when communications between the boards is lost. 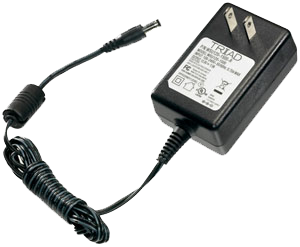 The relay can remain energized or on until communication is re-established or the relay can de-energize or turn off. This is done by a simple jumper on the board and setting it to Beacon or Smart mode. Regardless of the Mode you choose, if the busy LED flashes, the two devices are communicating properly. If the Busy LED does not flash at all, the devices are unable to communicate. Multiple pairs of the MirC Controllers can be used on the same network. The boards are paired together using the MAC Addresses of the Ethernet modules installed meaning multiple pairs will not interfere with each other! With Base Station Software you can view and edit all paired boards on the network and change the pairing if needed. The devices have been paired prior to shipment and will require no configuration; however, if you wish to make changes in this pairing, you may use the Base Station software to change the configuration settings. This can also be a valuable troubleshooting tool with of its ability to show devices that are communicating on your network. Both boards are equipped with LEDs that display the status of the relay on the receiver board. Status information is verified using 2-way wireless communications. If communication is lost between the devices, the LED will turn off. Additionally, every MirC controller is equipped with a Busy/Ready LED. If the Busy LED flashes, this indicates the other device has successfully received and accepted your contact closure status. If the Busy LED does not flash, the remote device is out of range. A common question we receive is what happens to the relay that is energized when communications between the boards is lost. The relay can remain energized or on until communication is re-established or the relay can de-energize or turn off. This is done by a simple jumper on the board and setting it to Beacon or Smart mode. Regardless of the Mode you choose, if the busy LED flashes, the two devices are communicating properly. If the Busy LED does not flash at all, the devices are unable to communicate. See the table below for the differences between Beacon and Smart mode. The MirC relays have a great feature where space is a premium - Break-A-Way Tabs. The Break-A-Way Tabs allow most boards to fit in an optional undrilled plastic enclosure. Snap off the Break-A-Way Tabs and you have a controller with a smaller profile when you need to fit in a tight space. 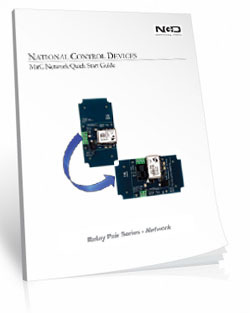 MirC controllers are guaranteed against manufacturing and functionality defects for a full 5 years! Not to mention a 30-day money back guarantee! If for any reason you are not happy with a relay purchased from Relay Pros, simply return it within 30 days and we will give you your money back! Controllers that are damaged by our customers will not of course be warranted under any circumstances. 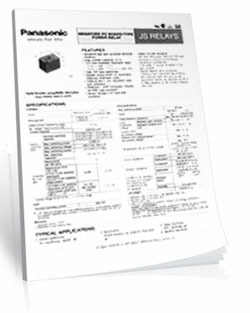 The CFL Enclosure is an undrilled, non-waterproof enclosure and is available at checkout for the Sender Board. 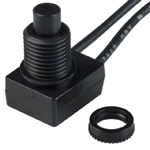 The DFL Enclosure is an undrilled, non-waterproof enclosure and is available at checkout for the Receiver Board.